As many of you may know, Carli Bybel decided to make one last final batch of her palette for BHCosmetics. This product is generally amazing for the price. This palette contains 10 eyeshadows and 4 highlighters. The palette is very warm rosey tones and reminds me a lot of the Urban Decay Naked 3 palette so I think if you already own that palette, this is not a necessity unless you are like me and feel obliged to get anything limited edition. The eyeshadows themselves are extremely pigmented and shimmery which I love. The highlighters are also extremely pigmented and look lovely on the skin. As you can see from the pictures above, my favourite highlighter is the second one which is quite similar to Becca's shimmering skin perfector in champagne pop. My only criticism is the packaging, whilst this palette is so inexpensive, I feel that they could have raised the price and made the quality better. 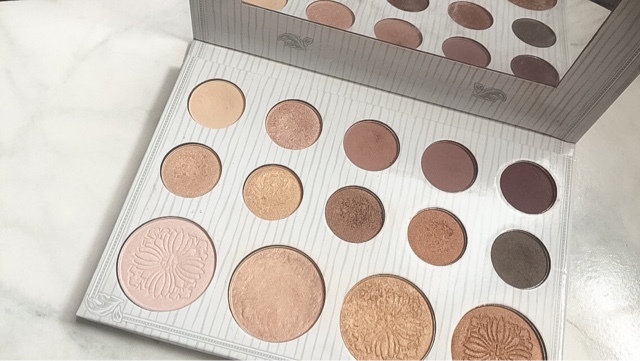 This palette is really pretty but I'd feel guilty if I picked it up as I have another hundred million shadows which are similar shades to them haha! The pigmentation on this palette is crazy though!